With neon watermelon pink glue, oyster wove 100gsm writing paper and a thick letterpress printed cover, the latest azure blue letterpress notepad from stationery designers, Meticulous Ink, takes doodling, note-taking and jotting down those great ideas to a luxurious new level. 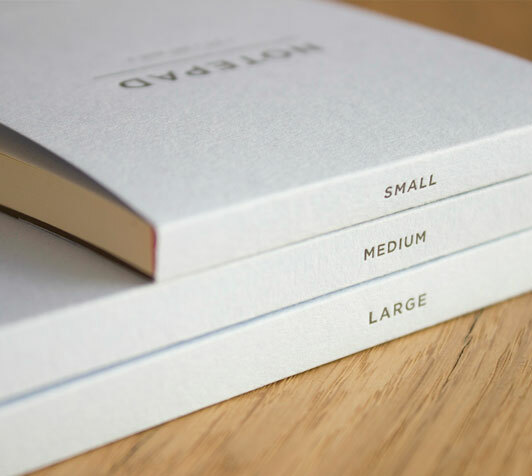 Designed, printed and bound at the Bath-based headquarters, each notepad sits on a 100% recycled chocolate brown board, making writing, sketching and drawing more effortless than ever. Whether it’s the small notepad, compact and ready to be taken anywhere, the medium pad, ideal for capturing important meeting notes, or the large version, perfect for doodling and sketching, each individually handmade pad is a joy to use - with pens and pencils gliding over its beautifully soft pages with ease.